Well, it’s been two years, and … zilch. 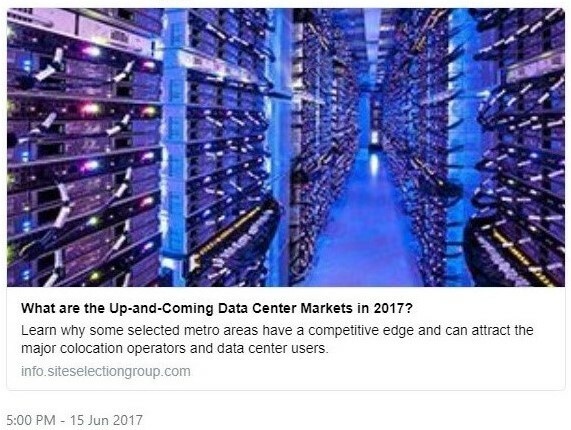 Local people, along with many economists and officials, often think these data centers are a key to an industrial revival. But the reality is less impressive. … [C]ompanies come to places like Boydton [Virginia] for basics like land, water and electricity. Even with low local wages, people are a high-cost item. As small as the staffs at these mammoth facilities are, companies say, perhaps a third of the company jobs will eventually be filled by robots. That’s not to say that taxpayers and elected officials should oppose data centers in their communities, of course. The principles of property rights and voluntary exchange aside, the buildings support the construction industry, have minimal impact on traffic congestion, procure goods and services from local providers, and don’t impose much of a burden on law enforcement. What they don’t do is spark “high-tech clusters” and lots of jobs. It’s one more reason to oppose their subsidization. Rest assured, the “business” press in New Mexico won’t hold pols and bureaucrats accountable for the promises they made two years ago. As for “economic development,” as a fad-driven phenomenon, it’s moved on to other things. (“Cybersecurity” is very hip these days.) Corporate-welfarism means never having to say you’re sorry. As has been stated many times before on this blog, N.M. is such an unattractive place to do business in comparison to nearby states that bribes in the form of taxpayer incentives have to be made to attract many businesses. At least the taxpayer loss in this case is mostly confined to the poor taxpayers of Valencia County in contrast to Railroader and Spaceport whose financial burden is statewide. Same goes for the high tech golf driving range financed by tax dollars. Unrealistic promises of future jobs and revenue. These companies do not need our money but use it to test markets. If it fails, they walk away, leaving us with the results. We agree with you 100% and were pleased Keller attempted to stop that waste of money.